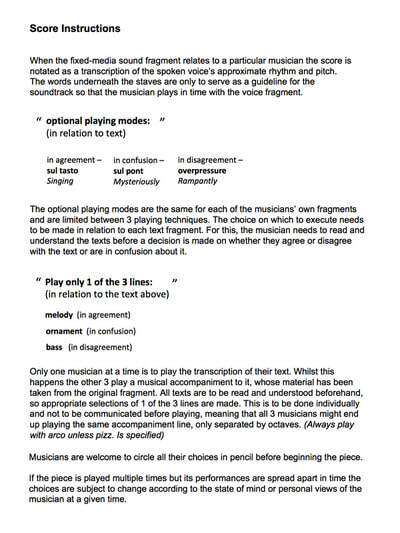 The information gathered for the purpose of the composition is limited to the information that can be found online about the musicians, and that ideally has been generated by the actual musician. 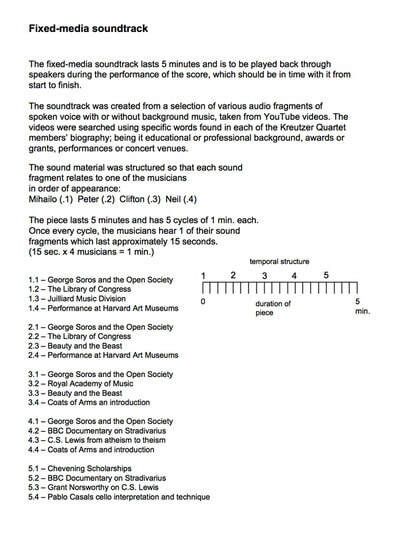 This information is then researched on youtube and sections from the audio of selected videos are used to produce main material for the composition itself. 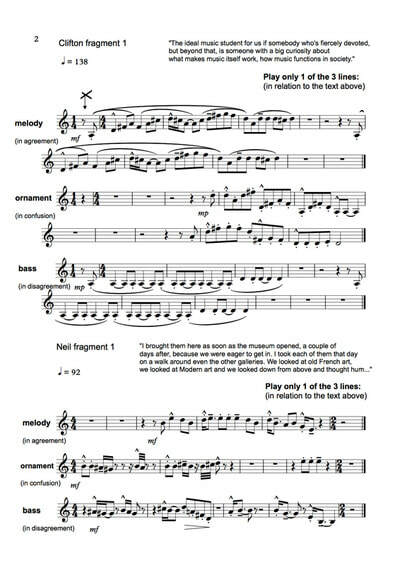 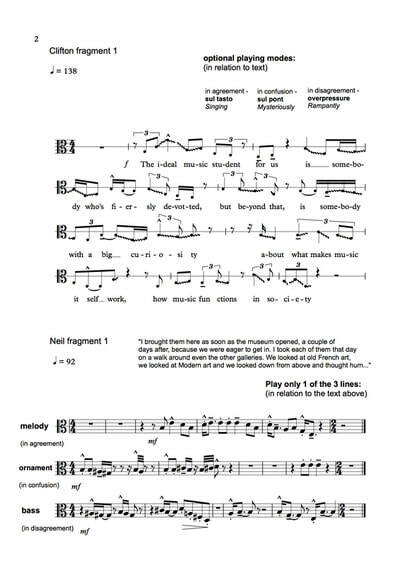 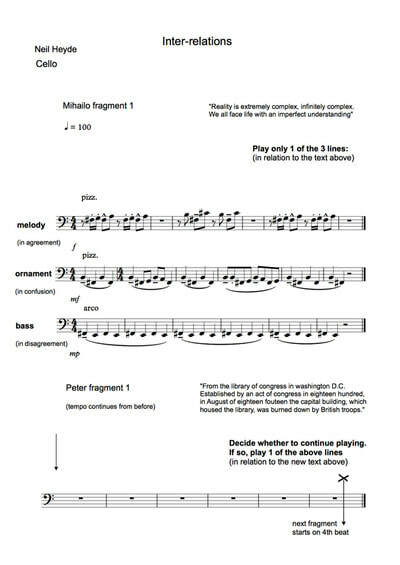 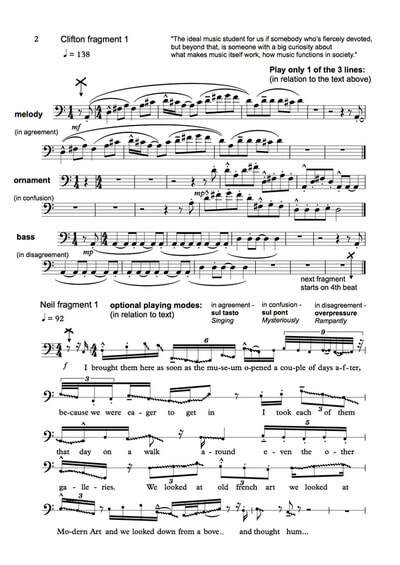 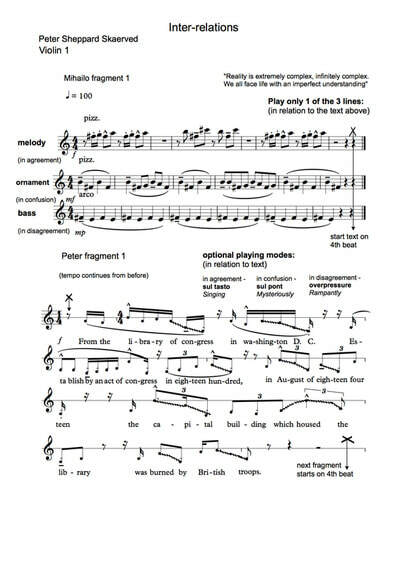 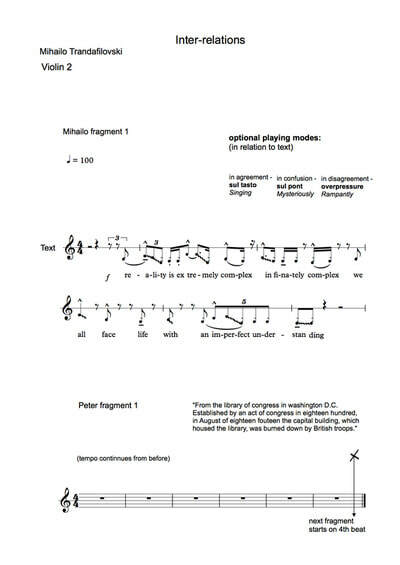 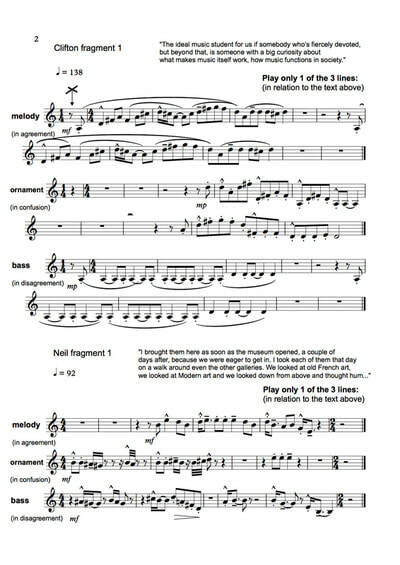 As the fragments consist of spoken word and background music, the musicians are given the options of what techniques to use to ‘play’ the spoken voice or what lines to use for the accompaniment. 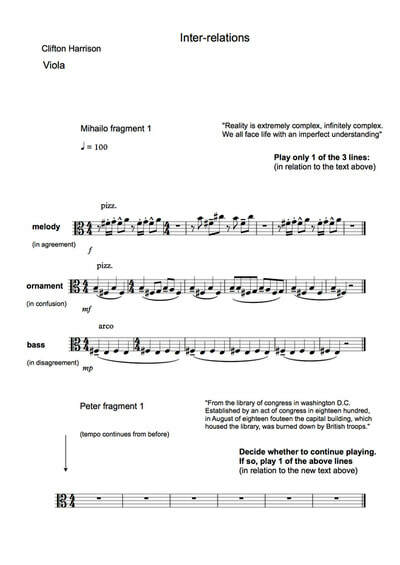 The dynamics or socio/political motivation of the piece will come not only from the junction of the fragments themselves but also from the outcome that the choices the players make produce.